A CONSERVATIONIST has urged governments of all levels to resist developing more of the Bundaberg region's coastline, as a national report sets out a plan to cope with rising sea levels, erosion and flooding. Roger Currie, the Wide Bay Burnett Conservation Council's acting president, said the Wide Bay area needed protection from dense coastal development because areas with coastal dune systems could be unpredictable. “We need to resist developing more of the coastline. Future growth needs to be moved away from the coast,” he said. The House of Representatives' report, Managing Our Coastal Zone in a Changing Climate, identified Queensland's densely-populated coast as the most at-risk in Australia from rising sea levels, floods and erosion. 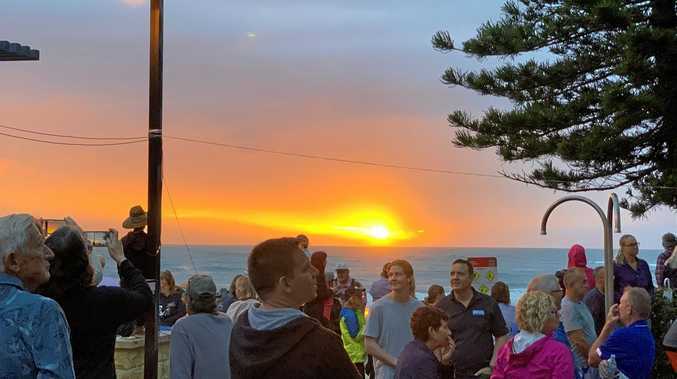 The report's 47 recommendations included banning building in some vulnerable beachfront areas and creating a federal body that could overrule local councils in specific instances of beachfront developments. “The federal laws will need to have the power to overrule state laws - the states are still liable for planning issues,” Mr Currie said. But Cabe Developments, which has numerous projects in Bargara, was confident its thorough research had made Bargara the most viable coastal option around. “Bargara is quite fortunate in that it is quite high compared to many coastal areas,” general manager Mark Monk said. Moore Park Beachside Real Estate marketing consultant Charles Memeth welcomed the report, saying if development was limited along the coastline, beachfront property prices could increase to match the heightened demand. Mr Memeth said while some erosion had occurred in Moore Park, most people were “quite comfortable” with their location. “There's a fairly large buffer zone that protects the foreshore at Sylvan Drive (at the northern end of Moore Park),” he said. “Around the surf club, erosion has been fairly common and that will probably continue with big high tides and weather - that was sandbagged last year. “But as far as any concerns in regards to the buyers' markets in real estate in Moore Park, it's probably going to be a positive thing. Andrew Fulton, Bundaberg Regional Council director of planning and development services, said the current planning scheme did address the issue of building on the coastline. “Areas of likely erosion have a building set-back line,” Mr Fulton said. “The Burnett planning scheme has a storm-surge overlay map, with these storm-surge levels above sea levels. He said the council was happy to work with all levels of government to ensure future coastal planning was as effective as possible. “We see it as a good thing in that it will ensure consistency along the coastline,” Mr Fulton said.